Billionaire Investor Carl Icahn is now the sole owner of the Trump Taj Mahal Resort. This move was necessary in order to exit bankruptcy, filed by parent company Trump Entertainment Resorts, Inc. Icahn, by the way, also owns A.C.’s Tropicana. There is some action over at the Atlantic Club, shuttered since January, 2014. A Pennsylvania-based company called Endeavor Property Group is in talks to buy the building and surrounding property. The new Atlantic Club would be an entertainment complex—complete with water park—and would also be a combination hotel/condominium. Back in the days of Maury Z. Levy, and that’s way back, Philadelphia Magazine was considered to be one of the finest, if not the finest city magazine in the country. I pretty much stopped reading it some years ago when I had my fill of “Best Lawyers” and “Best Doctors” service pieces. A neighbor recently passed along a copy of the June issue to me, and though it’s still laden with service pieces–and in terms of attracting advertisers, that’s basically a fact of life today in the world of print–there are several impressive, articles within that would proudly stand next to anything Philly Mag published in the 1960s and 1970s. Of particular interest to “Backstage” is Simon Van Zuylen-Wood’s piece on just what went on between Stockton University’s now-deposed president and the ill-conceived purchase of Atlantic City’s Showboat Hotel and Casino. Investigative journalism like the old days. Philadelphia developer Bart Blatstein moves quickly. Blatstein, who purchased the failing Pier Shops at Caesars for a paltry $2.7 million, announced that that the ground floor of what he’s calling “The Playground” will open on July 4. “T-Street,” on level one, will consist of seven live music venues, featuring the sounds of everything from jazz to country, with food and beverages courtesy of Jose Garces company, Garces Events. No word on when the second and third floors, which Blatstein says will house a swimming pool, bowling alley and more restaurants, will be completed. When all is said and done, Blatstein’s investment will total $50 million. Atlantic City will not be the same after the death of art dealer and raconteur Reese Palley, “merchant to the rich,” who died last month at the age of 93. His art gallery outside of the Marlborough-Blenheim Hotel, which sold, among other things, the porcelain figures of animals and birds produced by Edward Marshall Boehm, was a fixture and a “must visit” destination from 1957 until 1979. But that was only one of many projects this certifiable eccentric—eccentric in the most positive sense—had his hands in. Those projects included opening an airline in the Maldives and a sewing machine needle factory in Russia. He also wrote several books and traveled around the world in a 15-year journey via a 46-foot sloop. Palley was also plenty, plenty smart. He bought the Blenheim in 1976, likely for next to nothing, and a few weeks later sold it to Bally’s for millions more than he paid for it. The news about the future plans for the “old Four Seasons” Hotel in Center City Philadelphia is out. It will reopen in November as what will be this region’s first “deluxe Hilton Worldwide” hotel. But it won’t be called a Hilton, as Host Hotels & Resorts, the owner of the property, wants something snappier. It will be called “The Logan,” which is certainly accurate, given the location, but hardly a winner in the snappy department. Just who would move into a four-story, luxury apartment complex located just across the street from Pat’s Steaks? Answer: no one, as plans for such a thing—if you can believe there were actual plans for this—have been nixed by the Philadelphia Zoning Board’s 4-0 vote. We’re not sure whether or not Zoning Board members ordered eight cheesesteaks “wit” directly after the meeting. Our childhood pal and long-time radio disc jockey Rick Lesley has checked into “Backstage” and has let us know that his radio show, “RDV Gold,” broadcasts every Monday night on WRDV FM radio. Lesley’s specialties are Motown, Doo Wop (and he’s an expert at both), and the Philly Sound. You can find WRDV on 89.3 FM in Warminster/Hatboro. 107.3 Philadelphia. and 97.1 Bensalem Interested listeners can also access the show worldwide via wrtv.org. This is a neat little radio station that not enough folks are aware of. They play everything from big band jazz and gospel to polkas and blues. There’s no arguing that making any good money by publishing a newspaper or magazine is a challenge these days. On the positive side, there’s a plethora of free weeklies out there—though some struggle to keep going each week—and some publications actually appear to doing well such as Philadelphia Magazine and Philadelphia Style. One of the publications that those in the business thought was immune from struggle was the venerable and venerated Jewish Exponent, the second oldest Jewish newspaper in the country. Those in the Jewish community were shocked and saddened last month at the news that the Exponent, said to be losing $300,000 per year, laid off some 15 editorial and production staffers. Editorial will be outsourced to a larger supplier, based in Baltimore, with the hope being that this cost-cutting move will help save the publication. There are many theories as to why this happened, beyond the fact that, quite simply, print is in trouble almost everywhere. Herewith are some other theories: Similar to what happened with The Philadelphia Orchestra, it is possible that the powers-that-be at the Exponent thought the party would never end, ignored the fact that its readership was aging, and what they did to reach a younger audience both online and in print was a case of too little, too late. Sure, Philadelphia Magazine gets criticism for its “Best Lawyer,” “Best Doctor” and “Best Hamburger” service pieces. But those pieces generate income and make it possible for some damn good editorial. It can also be argued that, when it comes to the younger contingent, religion “ain’t what it used to be.” Indeed, there’s more than one synagogue locally and nationally that is in trouble. But again, the half-hearted attempts to appeal to a wider audience were not aggressive enough and happened too late. Some maintain that the handwriting was on the wall years ago, and that a complete makeover and image change should have been instituted back then. Still, there is a chance that this outsourcing experiment, as it’s being called, will work. Sadly, however, as a result of it, the Jewish Exponent will never be the same. In 1919, architect Frank E. Hahn began building a movie theater—in the classical revival style—on 16th and South Street. The Royal opened a year later as among the first built for Philadelphia’s black residents. As was the custom back then, there were stage shows as well, with just some of the performers being legends like Fats Waller and Bessie Smith. It closed in 1970 and has been vacant since then. In 2000, a company owned by Kenny Gamble purchased the property. Thirteen years later, it was still vacant, and Gamble applied for a demolition permit, with only the façade being preserved. Philadelphia resident Juan Levy didn’t like this at all, and filed suit in Pennsylvania Court of Common Pleas to block this and to appoint real estate developer Ori Felbush as conservator. There’s been lots of talk since about doing something with the property. It appears that the time has come with the announcement that the architectural committee of the Philadelphia Historical Commission, neighborhood and business organizations have come out in support of new design plans. Those plans include ground floor retail space including an “upscale food market and 45 rental apartments behind it. Don’t look for construction to start immediately. As is often the case with things like this, several more approvals are needed before the bulldozers come in. The situation at the shuttered Revel Hotel and Casino has gone from absurd to even more absurd. Even the judge involved in this mess has called the situation “tortured.” For unknown reasons, though Florida developer Glenn Straub has his $82 million bid for the place in escrow, the powers-that-be continue make what could and should be a simple closing nearly impossible. It’s been said that some Revel tenants and creditors want all involved to look for a better deal. But the truth is that no one but Straub has stepped forward and shown the money. Piece of advice: Give it to this guy or else count on imploding it. There is a hearing set for April 2 and it’s possible—remember the word “possible”—that the court could rule in Staub’s favor and that the deal will go through. It appears that the troubled Taj Mahal will, for the foreseeable future, survive. A bankruptcy restructuring plan spearheaded by billionaire Carl Icahn has been approved. However, the Appeal’s Court still has to reject a union challenge to a judge’s decision last year to terminate an expired union contract that allowed the Taj to dump pension and health care agreements. The totally unnecessary emergency management team foisted on Atlantic City by Governor and former Presidential hopeful Chris Christie has recommended the following: Cut $10 million from the budget, institute hundreds of layoffs and negotiate better terms with various stockholders, including the casinos and unions. Mayor Don Guardian would have done all this and probably more, but for reasons not yet understood, Governor Christie found it necessary to bring in two outsiders, Kevin Lavin and Kevyn Orr–and pay them, no less– to come to the same conclusions Guardian would have come to at no charge. At the Borgata, long Atlantic City’s most successful casino property, look for two new entertainment venues within the coming months. One is an outdoor venue called Borgota Festival Park, to be booked by Live Nation Philadelphia. The other is a new nightclub. Also given the go-ahead is Philadelphia developer Bart Blatstein’s plans to totally remake the Pier Shops mall, the former Million Dollar Pier, after temporarily being blocked to do so by Caesars. Caesars, which owns the land but not the structure on top of it, claimed they did not approve the $2.7 million sale. It’s been reported that Blatstein, as well as some disgruntled current tenants, has settled with all involved, and as this is being written, will hold a press conference for his plans for the property. Center City Philadelphia has been without a movie theater for years, but that’s soon to change via two “new” houses of cinema. In a surprise move, the beleaguered Prince Musical Theater has been acquired by the Philadelphia Film Society; and the controversial, closed-for-decades Boyd Theater is now in the midst of demolition to make way for a multi-screen venue, likely with bars and restaurants within it as well. To appease the preservationalists, the Boyd façade will remain intact. The new Boyd will likely present mainstream movies. Film-wise, the Prince will probably present its usual art-house stuff, as well as live theatrical performances and concerts via Curtis Institute, Philadelphia Gay Men’s Chorus, Philadelphia Dance Academy and other groups. Newest documentary film subject? The one and only, always colorful and sometimes cantankerous restaurateur named Georges Perrier. The film, aptly titled “King Georges,” tells of this history, rise and fall of Le Bec-Fin. Oddly the film’s April premier will be in Durham, North Carolina at film festival. Seems this project should have premiered at the Philadelphia Film Society-owned Prince. The Metro-owned Philadelphia City Paper has gotten a major makeover, described by senior designer Brenda Adams as having a “grown up look.” That’s very appropriate as City Paper’s readers are grown ups, as opposed to the other free weekly’s readers—and writers—who clearly are not grown ups. Here at “Backstage,” we only report the most pertinent and socially significant news stories. It is therefore fitting and proper to let “Backstage” readers know that after 30 months, the “D” in the Ardmore sign on Anderson Avenue on The Main Line—the one that’s been reading “Ar more” since May—is being replaced. Welcome “nes” indeed. They served 28 flavors of ice cream, had the greatest fried clams ever, grilled their frankfurters in butter and at one time, had over 1,000 restaurants all over the country. Sadly, the three remaining Howard Johnson’s restaurants are now down to two, with the recently-announced closing of its Lake Placid, N.Y. location, a staple on the scene for more than 60 years. If you have to have a HoJo cone, dog or whatever, you’ll have to travel to Bangor, MA or Lake George, N.Y. We’ll see you there. In 1978, Jonathan Takiff of the Philadelphia Daily News first wrote about me. The item focused on the jam session I was leading at Grendel’s Lair on South Street (! ), just after I lost my gig as an editor of the Drummer newspaper because of the Drummer’s doing an el-foldo. That was 37 years ago, and I know Jon was at the News, as a music and tech writer, for several years before that. Jon has just let one and all know that he’s leaving the News and headed to the Philadelphia Inquirer, strictly as a technology writer. The is the second time in just a few months that the Inquirer has raided the News’ staff, the first being entertainment columnist Molly Eichel. Congrats to the Inquirer, as they know talent when they read it, and good luck to you, Jon. The on again/off again sale of the Atlantic City white elephant known as Revel to Florida developer Glenn Straub is on again, and this time, it may really happen. It appears Straub got everything he wanted: an $82 million dollar price tag instead of his previously offered $95.4 million, no concessions to carry the leases of previous retailer tenants (though he is negotiating with several of them), and evidently no responsibility for past due utility bills. However, if the utility company pulls the plug before the anticipated closing date of March 31, Straub can legally pull out of the sale. If utility company ACR Energy Partners, LLC does pull the plug, it would be the dumbest possible move, as Revel would be damaged beyond repair and saleable to no one, guaranteeing that ACR would never see a dime. Accepting Straub’s deal is the first thing those connected with Revel have done right. Though nothing is final until the ink is dry, Straub’s $82 million is said to be in escrow and there is a definite closing date. If things go according to plan—and there are no guarantees where Revel is concerned–Straub plans major construction of a $50 million expansion of the exterior area of the building and a $50-plus million outlay to build a more accessible hotel lobby, a large medical facility, and health spa. Straub said he is looking for state and local government assistance and has a three-year plan to fully develop the property. Hard Rock Casinos, which just received preliminary approval to enter the Atlantic City casino market, had been looking at Revel and did talk to Straub. But Revel was likely just too big for Hard Rock. They were the only company approved to participate in a pilot program to build “boutique” casinos of as few as 200 rooms instead of the 500-room minimum requirement currently in effect .Further, Hard Rock’s Chairman James F. Allen has said that it does not appear to make financial sense to build a new casino in Atlantic City from scratch, “We love the boutique casino concept,” he said, “and if the right opportunity comes along, we can move quickly.” A good bet is that if Hard Rock comes in, it will be at the Atlantic Club. The good news in A.C. is that for the first time in several years, January revenue was up an astounding 19 percent over last year’s figures. Sure, there’s less competition, but even when the four casinos that closed last year are included in the accounting, January revenue was still up one percent. Biggest winner was The Golden Nugget. Also positive news on the Boardwalk is the belated return of singer Peter Lemongello. Lemongello, a longtime colleague of those behind “Backstage,” was the first performer in history to sell one million records by way of television commercials. 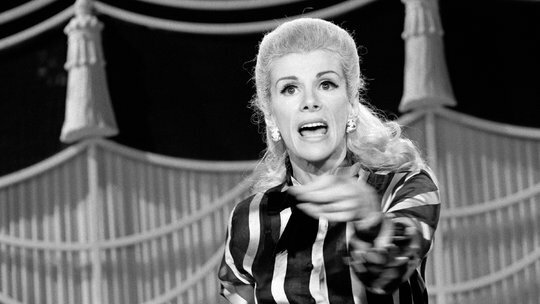 Lemongello’s on-air spots, actually the forerunner if “infomercials,” launched a career that led to 25 “Tonight Show” appearances, sold-out Carnegie Hall and Madison Square concerts. He was also the only entertainer to be on the cover of the “Wall Street Journal.” He was an Atlantic City regular for some seasons, but since his move to Florida some years back, Boardwalk citings have been rare. Until now. Peter Lemongello will appear at Resorts International from April 1 to April 18 and again from May 18 through May 31. The occasions when a performer actually lives up to their hype—and this guy got plenty of it—are rare. But Lemongello lives up to it. He’s a strong, strong singer with impeccable pipes and has evolved into one of our underrated treasures as a superb interpreter of the Great American Songbook. The Philadelphia “free weekly newspaper wars” are heating up. “Philadelphia City Paper” was recently sold to “Metro,” and now, news has come that “Philadelphia Weekly” has been sold. The buyer is Broad Street Media, which owns the “Northeast Times,” the “Star” and several wire services. As part of the deal, Broad Street Media also gets the “South Philly Review.” Truth be told, the “Review” is doing better business than CP and PW combined. Both have been clocking in at around the 20 pages per issue neighborhood which is very, very thin. An incisive “Philadelphia Magazine” article a few years ago predicted that one of the two would have to go. With news of this sale, I’d bet that Broad Street Media actually made this deal to get the healthy “South Philadelphia Review” and will soon put PW out of its misery (“Philadelphia Weekly,” by the way, is the rag that mentions the word “jazz” about twice per year). But there very well may be a “new” weekly newspaper joining the competitive fray. Those who have visited West Philadelphia through the years may have noticed, from time to time, a rather thin newspaper called the “University City Review.” Published since 1988 by Robert Christian, UCR is expanding into Center City with a new name—“Philadelphia Free Press”—and brand, spanking new honor boxes. This is in conjunction with the 25th anniversary of UCR. But what’s strange about this is that Christian has also been publishing something with a Center City focus called “The Weekly Press.” Though TWP claims to also have been in operation since 1988 and does have an online presence, I’ve never seen a print version of it. And face it, with a very few exceptions in this area, the market for print has never been worse. Why on earth would someone start a newspaper right now? Maybe Christian just likes to see his name in the paper. For more info on PFP, log on to its new web site—though it’s not up yet as of this writing—at phillyfreepress.com. BRIAN WILLIAMS:THROUGH FOR THE NIGHT? In that the long-running “Backstage” column continues to address “all things media,” it seems appropriate to comment on television anchor Brian Williams’ “faulty memory.” The late and legendary Walter Cronkite was, for years, considered to be among the most trusted people in America. If news anchors are shown to lack integrity, honesty and credibility, they lose that trust and have nothing. Williams now has nothing. He claims that the nonsense he repeated for a dozen years was a “mistake.” The fact is, it was a lie, and you can bet the ranch that “NBC Nightly News” has no plans to invite Williams to return after its much-publicized six-month suspension without pay (like Williams needs the bread). Sadly, and other Williams’ “mistakes” are now surfacing, he has become a discredited laughingstock. As for the future, when the dust settles—which it will—Brian Williams will likely return, either on cable or online, and there will, without doubt, be a Brian Williams book. He’s probably working on it right now. The situation is quite different for Fox’s Bill O’Reilly, who has also been publicly called out because of oft-repeated lies and exaggerations. Unlike Williams, who has been silent, O’Reilly has been fighting the allegations in his loud and blustery way, which is just what his many fans expect. What makes his situation unlike Williams’ is that O’Reilly is not a news anchor, reporter or network news managing editor. At best, he is a “personality” who has little in the way of credibility as a news person to begin with. Despite those calling for his firing, the “Morton Downey Jr. of the news business” isn’t going anywhere soon. It turns out that not everyone wants to be on television. If anyone remembers, “local public access” cable television was once one of the biggest features and selling points of cable tv. But not many folks these days seem to be interested in hosting their own, public access programs. Main Line resident George Strimmel is an exception. Four months ago, the cable station serving Lower Merion and Narberth went off the air. Three groups want the juice turned back on. Strimmel, who runs a station in Radnor that broadcasts six hours per day, is one; as are the Lower Merion Historical Society and an operation based in King of Prussia. Strimmel has said nothing about filling the broadcast day with Three Stooges’ film shorts. There have been several films, both features and documentaries, about Francis Albert Sinatra. The vast majority have not been not much more than just okay. But filmmakers Alex Gibney and Frank Marshall, behind the upcoming multi-part HBO docu on Mr. S., “Sinatra: All or Nothing at All,” promise something different. Very different. The filmmakers promise various, audio-only interviews with the likes of Quincy Jones and several FS and several family members. Structurally, Gibney and Marshall describe this as “a retelling of Sinatra’s life, organized by the key moments that occurred during it.” One of those key moments was the famed, 1971 “retirement concert” given by Mr. S, which just happened to be amongst the rare films reviewed. ” In one of the dumber questions asked by a reporter from TCA was, “How Sinatra would feel about the finished product if he were still alive?” The truth is that if Mr. S. were still here, he probably wouldn’t even watch the thing. “All or Nothing at All” will air on HBO on April 5 and 6. As reported in “Backstage” last month, developer Glenn Straub, the only bidder left for Atlantic City’s shuttered Revel Hotel and Casino, has won the right to buy the facility for his bidding amount of $94.4 million. Straub wanted it for $87 million, but bankruptcy Judge Gloria Burns did not accept that. Latest news is that Straub will go for the $94.4 million, but has inferred that he wants nothing to do with being responsible for outstanding utility costs. Also part of the terms of sale is that Straub does not have to assume the leases of clubs, restaurants and other retailers. The venues went to court to appeal that part of the terms of sale, but the judge threw it out. The casino, the hotel, the restaurants– including one under Jose Garces’ name—clubs and various retailers had their chance. And they blew it. Straub’s plans? He’s talking about a water park and entertainment complex—with a small casino—and possible round-trip service via ferry to New York City. He has also, thankfully, insisted that he take sole responsibility for cleaning up the inlet area with a promise of no city interference. He believes that is the only way to get that essential job done, if only because the city has done little about that problem for the past 75 years. The Atlantic Club Hotel and Casino—formerly the crown jewel of Atlantic City’s casino hotels as the Golden Nugget and Bally’s Grand—has been closed since January, 2014. Four months later, it was purchased by a Florida development firm called TJM Properties, an outfit that paid $13.5 million for the property. Quietly and without fanfare, TJM has just sold the Atlantic Club to an operation called Endeavor Property Group, LLC, out of Devon, PA. No price has been disclosed. Endeavor specializes in residential, business and assisted living properties. Who knows what they have in mind for this prime piece of Boardwalk real estate? The president and CEO of Atlantic City’s marketing agency best known for its “Do AC” campaign has stepped down. Liza Cartmell stepped down as president of the Atlantic City Alliance (ACA), a role she’s had since 2011. Jeff Guaracino, formerly the chief strategy and communications officer of ACA, has been named executive director. “Atlantic City is in a time of transition and all its major institutions, elected officials, employees and residents are proactively adapting to a new reality,” said Guaracino. Putting the best possible spin on things, Borgota President and ACA Board Chairman Tom Balance said, “Liza Cartmell did an outstanding job as a president launching the organization and the successful “Do AC’ campaign.” As for the campaign, the record shows it was hardly successful. The Atlantic City Race Course, a staple of the horse racing world since its opening on July 22, 1946, is closing up shop. For various reasons, it’s been losing money annually for the past eight years, even though its most recent existence was as a simulcast facility. If the track is remembered at all today, it’s not because of horse racing. In August of 1969, the Race Course hosted the legendary Atlantic City Pop Festival. Over 100,000 turned out to hear the likes of Paul Butterfield, Buddy Miles, Canned Heat, Joni Mitchell, Chicago, Joe Cocker, Jefferson Airplane, Janis Joplin, B.B. 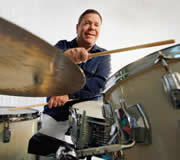 King, Buddy Miles, Procol Harum, Santana, Johnny Winter, and of all people, Buddy Rich and the big band. Oh yes, there was another festival much like this one that took place two weeks later. It was called Woodstock. The troubled Caesars operation—they own Caesars, Bally’s, the recently-sold Showboat and Harrah’s—can’t seem to even do bankruptcy right. It’s a pretty complicated matter, but the gist of it is this: The corporation sought bankruptcy protection and filed in Chicago. Simple, right? Well, not so fast. A judge dealt the company’s bankruptcy reorganization a possible fatal blow in ruling that the company violated federal law when it shuffled assets and refinanced debt as part of an alleged scheme to protect itself from lower-ranking creditors. Not good. However, even with mess and the fact that A.C. Mayor Don Guardino has hinted that Bally’s may be the next casino to shutter, those associated with Bally’s say it isn’t so. Harrah’s, owned by a division of Caesars and not affected by any of this, looks forward to an August opening of its $125 million Convention Center, which a number of city officials see as symbolic of the city’s future. In the “editorializing department,” A.C. Mayor Don Guardian is a good and capable man who, like our current United States President, inherited a deplorable situation not of his own making. And under his leadership and aegis, there are encouraging signs for the city, including the Harrah’s Convention Center, sale of the Showboat, Atlantic Club and Revel; news that The Hard Rock Café is seeking a gaming license and may be interested in buying an existing property (Atlantic Club maybe? ),Bart Blatstein’s redevelopment plan for what was the Ocean One. His essential city government budget cuts were well thought out and intelligently made. Still, for some reason, N.J. Governor Chris Christie believes that outside management assistance is needed to curtail what our Philadelphia Inquirer colleague Suzette Parmley called “the city’s financial free fall.” In one opinion—mine—that is exactly what is not needed. Look at what happened with Revel: It was developed and built by a team of people who knew absolutely nothing about Atlantic City. And does anyone remember when the Subway fast food chain decided to build one of their restaurants a half-block away from White House Subs? The town needs someone from the inside who knows and loves Atlantic City and that man is Don Guardian. Leave him alone and let him continue the good work he’s doing. If Christie feels, for political reasons, that he must do something drastic, how about supporting the Eagles instead of the Cowboys? Hoo boy. Where is Skinny D’Amato now that we need him? For as long as anyone can remember, the Dupont chemical giant owned the 1,250-seat Dupont Theater in Wilmington, DE. For a number of reasons, including financial, Dupont is getting out of the theater business and has sold the venue to the Grand, the outfit owning Wilmington’s Grand Opera House. One of the biggest coups in modern percussion industry history is evidently official. DW Drums has inked what is called “an asset sale agreement” to purchase legendary drum manufacturer Gretsch Drums, as well as Gilbralter Hardware, Latin Percussion (LP), Toca Percussion, and Kat Percussion from the KMC company, a subsidiary of the Fender musical instrument corporation. The deal also calls for DW’s U.S. distribution of Sabian Cymbals and Ovation Guitars. According to DW President/CEO Chris Lombardi, “This is an amazing opportunity to extend our passion and commitment for the art of drumming. We’re excited to welcome these legendary American brands to the DW family.” Though full details have yet to be announced, it’s pretty certain that DW’s manufacturing will remain in California, Gretsch drum production will continue in South Carolina and LP’s offices will stay in New Jersey. On a personal basis, I can tell you that that Chris and Don Lombardi and all involved at DW operate at the highest levels of honesty, honor and integrity, coupled with a respect for the tradition. 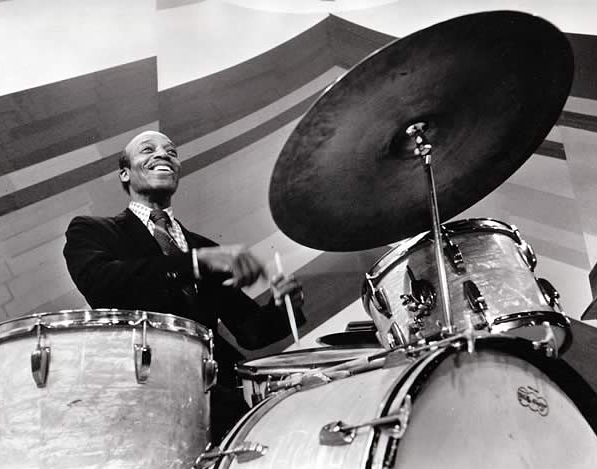 From what I know about DW, do not expect a repeat of how Yamaha ruined the Rogers name how Gibson clumsily “retired” the Slingerland name. Curiously, in the wake of all this news, DW has just lost one of its most visible endorsers, Peter Erskine, who has been using DW product since 2006. He’s just moved over to Tama, specifically their “Star” imprint, saying that in terms of musicality, Tama drums are “head and shoulders” above any other drum on the market. Having nixed what was going to be a return to network television by Bill Cosby—seems The Cos just isn’t funny anymore—NBC Entertainment has announced the signing of another showbiz veteran to a production deal. Dolly Parton will produce, and perhaps star in a series of television movies based on her songs, her stories and her life. Announcing the deal was NBC Entertainment Chairman Bob Greenblatt who was the Executive Producer of the Broadway adaptation of Parton’s “9 to 5: The Musical.” Greenblatt stresses that the Parton programs will be ones that the entire family can enjoy together. Just like Cosby’s show was supposed to be. Philadelphia painter and long-time good colleague Perry Milou, one of the most original artists to come out of this or any city, has a brand new website. Visitors to perrymilou.com can view samples of his work and purchase same, get news of new projects in the works, find out about his considerable philanthropic activities, and his work with children. “On the Other Side of the Fence” is a remarkable, touching and uplifting film documentary about a musical (by the same name), that was created to foster partnership between two Philadelphia schools for over 30 years. The film takes an inside look into the developing relationships between the children from Germantown Friends School and the HMS School for Children with Cerebral Palsy, as they participate in the rehearsal and performance process. The film, produced and directed by Henry Nevison, is a story of empathy, compassion and acceptance, where a unique musical theater framework–created and directed by Philadelphia composer/playwright/music therapist Andrea Green–becomes the vehicle for establishing caring relationships between this diverse groups of youngsters. The film has had several airings on MIND-TV—and was even screened at a children’s conference in Estonia, where Green and Nevison were guests—and MIND-TV has informed “Backstage” that the film will again air on April 4 and April 14. For news and information on Andrea Green’s activities, which are considerable, visit andreagreenmusic.com. Likewise with Henry Nevison: henrynevisonproductions.com. Anyone who has been on an airplane at any time during the last 30-plus years must certainly be aware of the magazine called “SkyMall.” Some folks even read it. And some, they say, even ordered one of their less-than essential doodads from stuffed animals and tee shirts to picture frames and NFL gear. Unfortunately, if you haven’t ordered yet, it’s too late. SkyMall has declared bankruptcy. Seems that airline passengers are more occupied these days with WiFi, back-of-the-seat televisions, and the now-legal use of iPads and Kindles on flights. Damn! Now I’ll never be able to get that ceramic pet fountain. Happy 2015 to the readers of “Backstage with Bruce Klauber,” celebrating 30 years of continuous publication. Here’s to 30 more. Happy reading! Things are changing at Atlantic City’s troubled Taj Mahal Hotel/Casino seemingly by the minute. The last “big news” to be reported was this: Though a deal between the Taj investor Carl Icahn and the casino workers union fell apart at the 11th hour, Ichan will ante up $20 million to keep the venue open, at least for awhile. He promises a $100 million in additional investment if he gets the tax breaks he wants from the state of New Jersey. Good luck with that one, Carl. Bet on this: The Taj will close. It’s only a matter of when. The deal to purchase the shuttered behemoth called Revel is officially off. Seems that high bidder Brookfield Associates didn’t read the fine print about having to pay some of the costs associated with Revel’s utility plant. Evidently, Brookfield wanted out badly, as they didn’t mind losing their $11 million deposit. “Plan B” is that Revel has gone back to investor Glenn Straub, second highest bidder for the facility at $95.4 million. Straub is interested and has talked vaguely of turning Revel into an institution of higher learning/think tank type of operation, but he’s looking for something in the neighborhood of an $8 million break on his bid, claiming he wasn’t treated fairly in the initial bidding war against Brookfield. Additionally, he wants nothing to do with paying outstanding utility bills. This could be a problem for the physical venue itself. The utility company responsible for keeping electric, heating, cooling and water running at the shuttered facility just defaulted on their December payment. If someone doesn’t pay the freight, the utility folk have threatened to literally pull the plug, which would be disastrous for Revel. There is a ray of hope on the Boardwalk, as the sale of the Caesars’-owned Showboat Hotel and Casino to Richard Stockton College—inferred in this space last month—has been finalized. Price tag is $18 million. What do you do with a shuttered and abandoned hotel and casino that no one wants to buy? Atlantic City has decided, in the case of the Trump Plaza, to implode the thing. Guess a vacant lot is better than anything. In the “backing out of deals” sweepstakes closer to home, the on-again, off-again saga for the purchase and renovation of the Boyd Theater is evidently off again. It seems that developer Neil Rodin never followed up on his agreement to buy the Boyd from owner Live Nation. Rodin claims to be negotiating a new lease with Pearl Properties, who bought the Boyd for $4.5 million in October. The famed Four Seasons Hotel, moving to the top of the new Comcast Tower, circa 2018, will close in early June. However, it has been reported that the current Four Seasons facility was purchased by an outfit affiliated with a company called Sage Hospitality. All that Sage has said thus far is that they will handle the transition into a new “luxury brand,” and that plans are to invest millions in upgrades in order to open in the fall. The legendary Fountain restaurant ceased serving dinner December 27. Breakfasts and lunch, however, will continue. Rest assured that the “new” Four Seasons “brand” won’t be Motel 6. Also getting a reprieve is the Philadelphia Theatre Company, which was “this close” to shutting down, as TD Bank had foreclosed on the Suzanne Roberts Theater that houses PTC. One savior is Kennedy Center President Michael M. Kaiser, who helped put together a recovery plan. The theater now has a month-to-month lease with TD, $400,000 in donations has been made in he last 90 days, and Ralph and Suzanne Roberts have pledged $2.5 million. Things are also looking up for Dance USA/Philadelphia, whose funding via The William Penn Foundation was pulled with no notice. William Penn has had the grace to pledge short-term funding in the amount of $89,000 which should keep the company going for a least another few months. Dance USA plans to use some of that time to seek other funding. William Penn, which had been funding the company since 2006, has given no reason why they pulled their support. Perhaps it’s because they don’t have to. Downright bad news for the Philadelphia Singers. After a concert in May, the 43-year old Singers will be no more. Seems the William Penn Foundation reared its head again and turned down a request for a three-year grant for general support. This time, William Penn did give a reason. Philadelphia Singers is carrying debt in the neighborhood of $125,000, and last year, Penn began focusing on issues of financial health for those organizations they fund. Will there be a “Save-the-Chorus” campaign? Doubtful. “We’ve got to face reality,” said Board VP Michael Martin Mills. Though the Rittenhouse Square location of the legendary Famous 4th Sreet Deli at Fourth and Bainbridge has been sold, it will continue to operate under the name of Kaufman’s. Brooklyn’s Rich Kaufman is one of the owners, and plans no change to menu or staff. Fans of Little Pete’s on 17th and Chancellor—and there are many—were deservedly upset when they heard that their beloved joint was going to close to make way for a massive redevelopment project. While that still may happen, the redevelopment bill itself is stalled in City Council because of union concerns, a Center City civic group’s issues, and the complaints of thousands of Little Pete’s customers. Smoking has not been permitted in bars since 2007. There are some exceptions, however, as it is possible – if a bar qualifies – to gain an exemption. As of now, 66 bars and clubs do allow smoking. Qualifying for an exemption isn’t easy. As an example, for what the state calls “a drinking establishment” a venue cannot have dancing or any live entertainment and must prove that food sales comprise 20 percent or less of the venue’s combined gross sales. Some cigar bars also may qualify. Four more venues have just applied for indoor smoking permits. They are: The Pyramid Temple No. 1, a fraternal organization on West Girard Avenue. They are applying for the cigar bar exemption. Grumpy’s Bar in South Philly would like to allow smoking, and likewise with two “gentlemen’s clubs,” Club Risque on Tacony Street, and Christine’s Gentlemen’s Club on West Passyunk. While there was some shock and more than a bit of outrage over the news of Bob Dylan’s upcoming CD of Sinatra songs, “Shadows in the Night,” to be released February 3, it seems there is some validity to the project after all. Our friend at the Philadelphia Daily News, Chuck Darrow, spoke to Frank Sinatra, Jr. recently—Junior was in town for a celebration being held for veteran broadcaster and Sinatra fan Sid Mark—about the Dylan release. Sinatra told Darrow that not only was Dylan a major, major fan of senior’s, but that “the odd couple” actually hung out a few times over the years. To junior’s credit, I’ve rarely heard him put down anyone who he believes is singing good music. But a heads-up to Dylan’s handlers at Columbia Records. One of the songs on “Shadows” is not a Frank Sinatra Song. Song number ten on the ten track project is “That Lucky Old Sun.” That song belonged to Frankie Laine, not Mr. S.
Good colleague Sal Richards has been one of the funniest comics in the business—and a darned good actor as well—for decades. Those of us who hung out with Sal in Atlantic City, Miami Beach and who knows where else had no idea of the pain he was going through over the years. He’s just written a sometimes touching and sometimes hilarious autobiography titled “Behind the Laughter, Hidden Tears,” which tells of his upbringing, his rise in the business, how he dealt with the loss of a son, how he battled his own personal demons, and the show biz greats and not-so-greats he’s met along the way. The Helen Reddy story is worth the price of the book. This is wonderful reading. Keep swingin’, Sal. Available via salrichards.com. It’s bargain basement time in Atlantic City and for good reason. With the closing of Revel, Showboat, Atlantic Club, and Trump Plaza hotel/casinos, properties are being sold for less than five cents on a dollar. The Toronto-based Brookfield Associates, which owns a casino in Vegas and in the Bahamas, has agreed to buy the beleaguered property, built for a cost of $2.4 billion, for $110 million. After addressing some design issues—like, how in the hell do you get the casino floor?—Brookfield plans to reopen it as a hotel and casino. But it’s not chicken counting time for Brookfield yet. The outfit agreed to buy Revel. There is no closing date set. Then there’s the matter of the $30 million that Revel owes in property taxes and penalties to Atlantic City. The bottom line is, Revel has got the “white elephant” label attached to it and in this business, there aren’t a lot of second chances. Trump Taj Mahal has been given a reprieve for the moment, with the emphasis on the word moment. A federal bankruptcy judge voided the struggling casino’s contract with its union workers, a big part of Taj’s strategy to keep the casino open and save 3,000 jobs. To say the least, union members are livid as is Local 54. Funny, when the musician’s union in Atlantic City stopped protecting its members, they didn’t need a court order. They just did it and no one seemed to care. Still, current owner Carl Icahn says that the Taj “will almost certainly close.” What a shame that would be. The Taj Mahal had a wonderful White House Subs shop upstairs. From 1905 to 1981, the amusement pier at Arkansas Avenue and the Boardwalk was called the Million Dollar Pier. It then became something called “Ocean One,” a combination of low-rent retail stores and restaurants. It then became, at a cost of some $200 million, The Pier Shops at Caesars, revamped in 2006 and featuring high-end shops like Gucci and Tiffany. Like the Revel situation, The Pier Shops concept was a case of the wrong time and the wrong place. Many of the retail spaces have been vacant for years, and it’s been reported that the property was in foreclosure at one point. Philadelphia developer Bart Blatstein, who knows a good deal when he sees it, just bought the Pier Shops property for an absolutely incredible $2.5 million. Blatstein has not been forthcoming with details yet, except to say, “It’s going to be better than what it was.” Some developer has to build a year-round entertainment complex in Atlantic City, a town that, unbelievably, doesn’t even have a movie theater. Bet on Blatstein to do it. THE LOST DAVID BOWIE TAPES: GUESS WHO HAS THEM? You wouldn’t think that Drexel University and David Bowie would have much in common, but in fact, they do. In the mid-1970s, just about every pop artist wanted to record at Philadelphia’s Sigma Sound Studios, hoping to hop on the “Sound of Philadelphia” hit-making bandwagon. Bowie was one of those artists, and recorded part of his ninth studio album, “Young Americans,” at Sigma from August to November of 1974. In 2005, Sigma donated 6,200 master tapes to Drexel, now a part of what’s called the “Sigma Sound Studios Collection in the Drexel University Audio Archives,” but tapes from the Bowie sessions were not among them and were thought to be lost. Not long ago, Bowie discovered that the long lost tapes, which contained a bunch of alternate takes and unreleased titles, were up for bid on ebay, of all places, Bowie bought his own tapes back, then contacted the Director of the Drexel Collection, Toby Seay, to digitize the tracks. As a courtesy, Bowie donated the digital tracks to Drexel. Here’s the link to more info about the collection: http://www.drexel.edu/westphal/undergraduate/MIP/SigmaSoundArchives. In related news, the headquarters of Sigma’s most famous client, Kenny Gamble and Leon Huff’s Philadelphia International Records, will soon be no more. The legendary record label’s building at Broad and Spruce Street, damaged by arson in 2010, will be torn down. An outfit called SLS International Development will build their headquarters on the property. As for Gamble and Huff’s archives? Gamble would like to see a museum in the city to house all the memorabilia. Say it isn’t so! The semi-legendary Geno’s Steaks—that’s the one with the neon signs—is now offering hoagies in addition to its cheesesteak and roast pork mainstays. Geno’s did offer hoagies years ago but discontinued them when they found out they were simply too much trouble to make. But they’re back, and if you simply must try one, it will cost $9.50. Even though Joan Rivers has left the building, she apparently has one last book in her. Seems that her will stipulates that executors get a publishing deal for—get this—her personal diaries, said to trash just about everyone in show business and politics. Among her various “assertions” is that President Obama is gay. Hoo boy. Word on the street is that the River’s diaries might be a tough sell, given the less-than-sensitive subject matter. In the meantime, Rivers’ last book, “Diary of a Mad Diva,” experienced an amazing spike in sales, and quickly rose to number two on Amazon’s best seller list. And in another, not-unexpected Rivers tidbit, daughter Melissa has hired a hot-shot law firm to file a medical malpractice suit against the clinic where mom died last month. The younger Rivers, it seems, “wants answers.” Anyone with any experience in this area will tell you that when the deceased is 81 years of age and likely signed something that spelled out the complications of anesthesia, etc., proving wrongful death won’t be easy. Elizabeth Warshawer, administrative chief of the Curtis Institute sine 2008, has announced that she will leave her post on May 31. Warshawer contributed a great deal to this venerable institution during her tenure, including putting in place a strategic plan that helped raise $158 in donations. Reason for her departure? “It’s time for me to invent the next chapter of my professional career,” she said. In case you missed this, CBS Television just launched a $6 per month streaming service here and in 13 other cities. This happened a day after Time Warner announced that it would offer HBO as a stand alone internet service. The on-demand service, which can be ordered from www.cbs.com, will make thousands of CBS shows available, including15 prime time programs that will be available online the day after they air. There must be something to this streaming thing. The country’s number two cable television operation, Time Warner lost in the neighborhood of 184,000 in the three month period ending September 30. Time Warner lost more than 150,000 viewers in the quarter before. Makes you wonder why Comcast is buying the outfit for $45.3 billion. One thing is for certain: Mass media will always evolve. Look where you’re reading this. Here’s one venue that won’t be having a “modest, uneven recovery.” Word has come that the long-troubled Prince Music Theater in Center City Philadelphia is closing. This time, in all likelihood, for good. In May, Prince Board Chairman Herb Lotman died, and his heirs had no interest in continuing to run or fund the venue, nor did anyone else. It’s not that Prince wasn’t doing business and it’s not that their expenses were particularly high. After emerging from a 2010 bankruptcy last year, all of Prince’s productions–theatrical and cabaret–were produced on a “four-wall” basis, i.e., outside producers rented the facility, staged the shows, paid for production costs and advertising. Prince has bookings until the end of November, and then expects to shut its doors. The facility has been around since 1921, first as the Karlton Theater and in 1950 as the Midtown. What will become of it after November 30? Do the words Rite Aid sound familiar? Take note: My long-running “Backstage” column, published regionally and syndicated nationally on and off since 1978, will now appear on or about the first of each month on the jazzlegends.com Facebook page and the jazzlegends.com web site. “Backstage” is a rather personal take on local and national pop culture via everything from Elvis sightings to entertainment gossip. “Backstage,” of course, got its name originally via my work as a journalist AND performer, hence my often physical positioning as literally being “backstage.” Read about everything from Elvis’ last girlfriend to the inside poop on the Suzanne Roberts Theatre, on or about October 1.